Jen never dreamed about her wedding day, so when it came time to go dress shopping, she was clueless but she knew she didn’t want big and “poofy”. 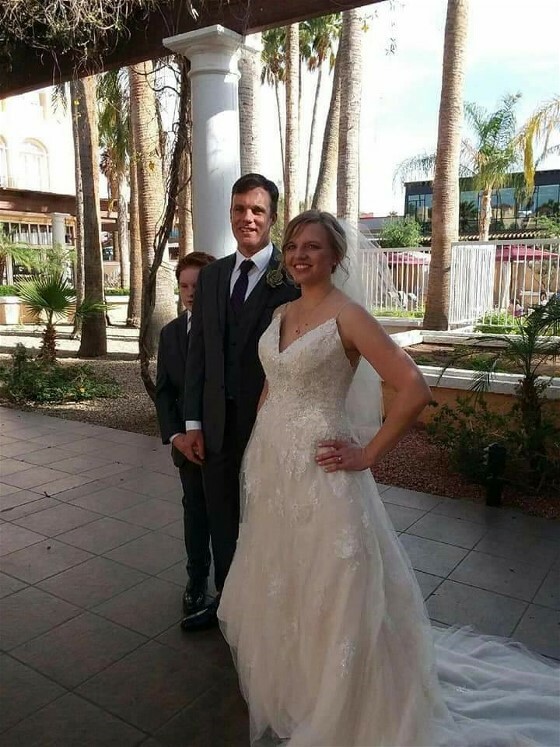 As Jen perused the store – Brilliant Bridal in Mesa, Arizona – the dresses looked too poofy, even though they were in garment bags. The bridal stylist informed Jen, that some dresses could have layers removed, and Jen tried to keep this in mind. Once it was on, Jen looked at herself in the mirror and said, “Can layers be removed from this one?” “Yes,” her stylist replied. Jen stepped out of the dressing room so that her maid of honor and mother could see and comment. Everyone could see that the mother of the bride was ready to burst into tears, but she was holding it together so that she would not influence the bride-to-be. Jen just kept looking at herself in the mirror; turning from side to side so that she could see the dress from all angles. This behavior is NOT normal for Jen and was brought to her attention and that’s when Jen knew she had found THE dress. Jen’s wedding dress before wedding dress cleaning. Jen’s wedding dress after HGP’s expert wedding dress cleaning. 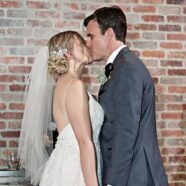 Jen’s wedding celebration must have been wonderful because her rose gold and ivory Stella York wedding dress with Alencon lace and beaded embellishments had a severely dirty hemline when we received it. There were also heavy black shoe imprints on the hem of the skirt and train in all the layers. We also found some tears in the layers along with a broken eye hook and missing eyelet and a few loose buttons. That was no problem for our team! 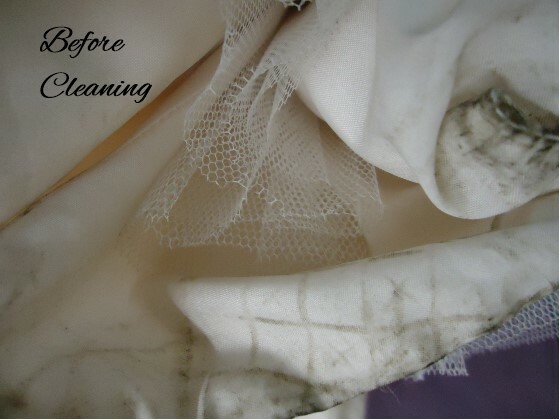 Expert wedding dress cleaning by hand after a thorough chemical soak removed the dirty and made the hemline good as new. We replaced the broken eye hook and missing eyelet, repaired the holes and tears in the gown layers and tightened dozens of loose beads. 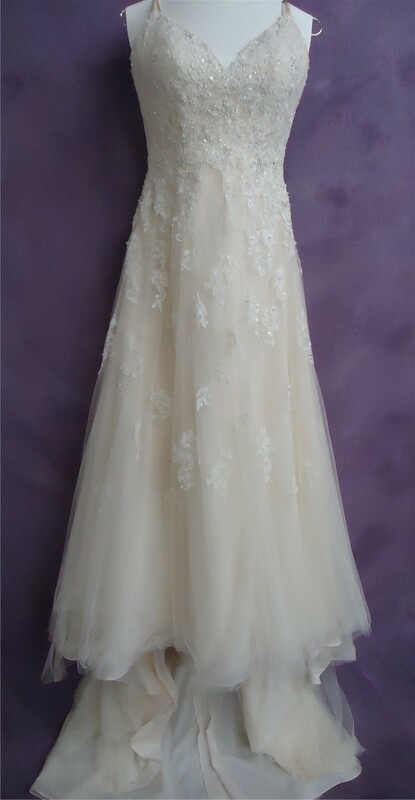 Jen’s wedding dress is now good as new and ready for the next bride to wear or for Jen and her family to cherish forever. Do you have a gown that needs wedding dress cleaning? Get a Free Quote today to get started.